The Dell UltraSharp U3415W monitor is not a new kid on the block any more (you can read about its unboxing I did in 2015). It's still a great monitor however and since I now have a new 2017 MacBook Pro I wanted to be able to keep using it. 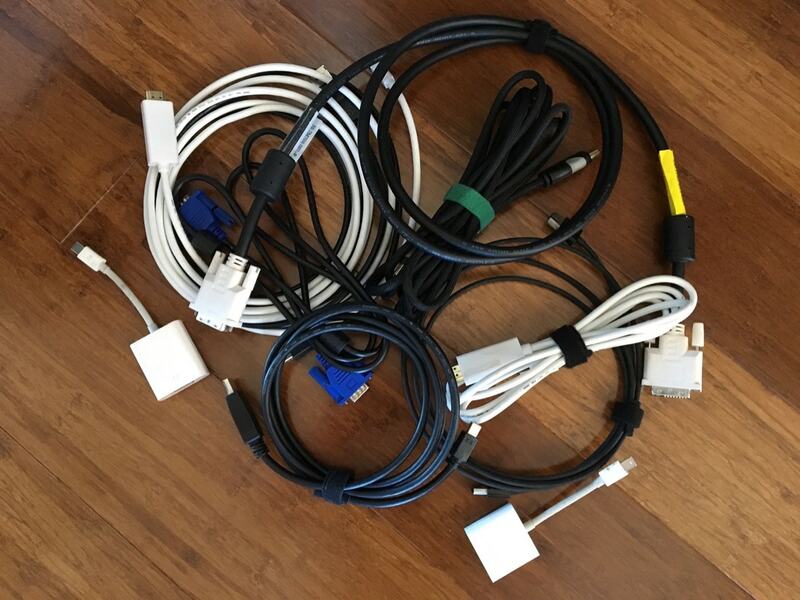 I read about various issues others have been having with making this monitor work over USB-C so I've decided to try out a bunch of different cables and adapters I had to see what worked and what didn't. I also wrote a similar article about the Dell U2713HM monitor. I was really hoping that there would be a variety of ways of getting a stable connection to this monitor, in the end I only found one that was the most practical. Even though the MHL port only gave a maximum of a 50Hz refresh, it was quite usable. Considering this is not a CRT, even a 30Hz refresh would be OK (which this method of connectivity also supported). My next lot of tests were done using a USB-C to mini-DP adapter that I bought from eBay. So the most stable connections were either with the Multi AV adapter to the MHL port or the mini-DP adapter to the DP port. In my opinion the Multi AV method is the most practical since it gives you the option to have both power and a USB 3.0 connection at the same time, plus you don't need to connect a second adapter. That's the method I'll be sticking with. If you've tried other ways of connecting this monitor via USB-C let me know what worked for you.